“Hello everyone! My name is Julie and I run Tatty Bumpkin North Bucks and Beds. The area includes Bletchley, Buckingham, Leighton Buzzard and Dunstable, and the villages in between! I came to Tatty Bumpkin over three years ago now, and I love my job more and more every day. Seeing babies and children engage with the magic of Tatty and Baby Bumpkin, developing their little bodies and minds and helping them discover the basics of wellbeing for their future, fills me with joy with every adventure. 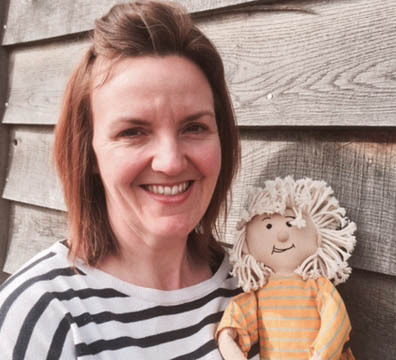 You’ll find Julie teaching Tatty Bumpkin sessions in Schools, nurseries, and preschools around Buckingham and Milton Keynes. 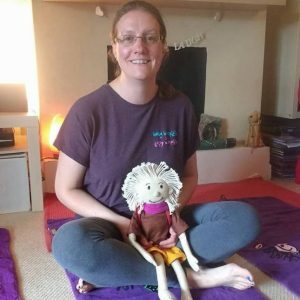 You’ll find Mary teaching fabulous Tatty Bumpkin sessions in and around Leighton Buzzard, in schools, nurseries, preschools and parent/child sessions at The Rocci Tree on Tuesdays. What a lovely class! It was lovely to see essential elements of a yoga practice being retold in an accessible way for young children. 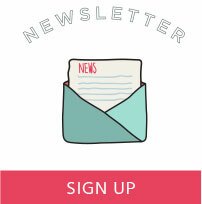 Great for child development. Highly recommended. Our favourite class! The sessions run at a lovely pace and have just the right amount of music, sensory and yoga moves. Both my son and I leave happy and relaxed every week.